Below zero at the bottom. And plenty of snow up top. 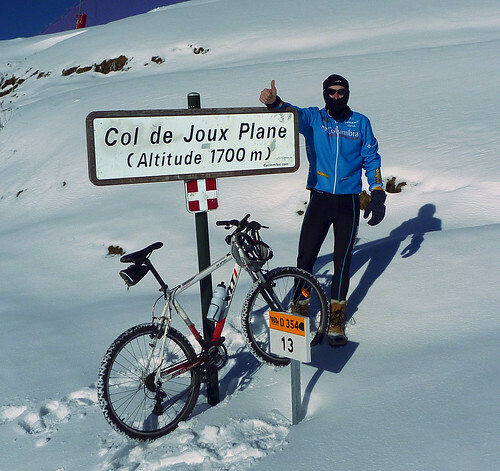 My last post is already 2 weeks old – Seven Secrets for Cycling In the Alps – in Winter. It seemed time I started following my own advice. 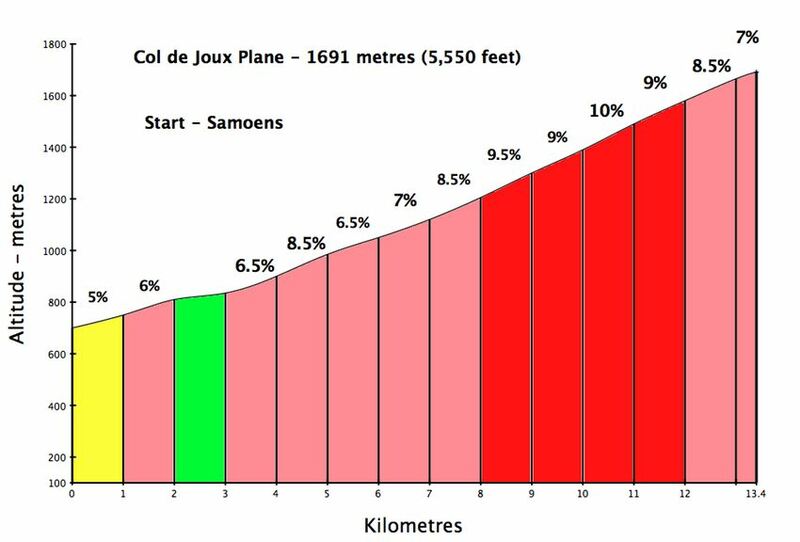 Cycling up Col de Joux Plane in winter has become an annual tradition ever since discovering that the classic west side is often cleared in winter due to the cross-country skiing at the top. Despite much of the recent snow melting earlier in the week, it was below freezing at the bottom of the climb. I was a little nervous that we would be too cold descending. But I was well prepared with my winter boots, balaclava, several layers and double gloves. The road was closed to cars from half way up, and – especially on shaded stretches, the upper half of the climb was a little slippery. But in general the route was fine. And with the sun and not much wind it was a beautiful day. le film est bel et bien digne de Hollywood !! Nice! Great movie and I especially like the Moo Productions with the mountains. Nice vid. I went out yesterday thinking it was cold. Then I watched this!!! 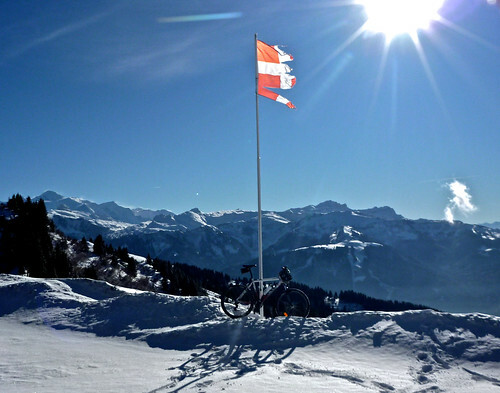 Off to Le Chatelard for some winter biking soon….